Spend the afternoon exploring one of Bali’s white sand beaches, stop at a stunning cultural park, and then take in a traditional dance performance on a private tour. 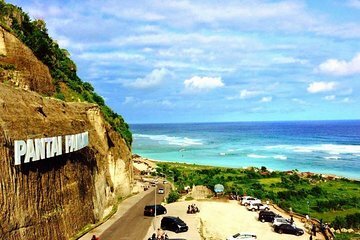 Leave the hassles of driving and navigating to your guide and relax on the shores of Pandwada Beach, before continuing on to the Garuda Wisnu Kencana Cultural Park. Admire the park’s impressive statue of the Hindu god Vishnu and panoramic views. Next, sit back and enjoy a traditional Barong and Kecak dance and Gamelan suara. The choir of one hundred men chanting in unison is a sight to behold. Your guide takes you back to your hotel in the evening.